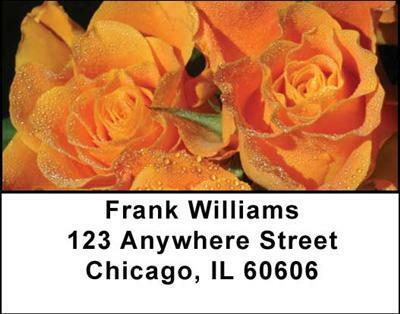 "Roses Address Labels" product is already in your cart. Are you sure you want to add another one? Like this product? Why not Share it? The breathtaking beauty of these flowers makes the Roses Address Labels a wonderful choice for a gardener or anyone with a green thumb. A variety of four images displays the awesome splendor of the many gorgeous colors these magical blossoms show us. Pale pink displays its many layers in a subtle shade that changes, creamy peach makes a breathtaking array, pale pink on a bed of yellow shows another pretty image and the last one displays row upon row of multi-colored roses that all seek to get attention. The Roses Address Labels promise to inspire you to water your plants and keep them healthy so you can enjoy their beauty every day.